Vic Brocca: A Makeup Marvel! Meet your new favorite makeup maven. At the tender young age of 21, Vic Brocca runs a thriving professional makeup artistry business, is a beauty vlogger with 25,000 + YouTube subscribers and was featured on the Kylie Cosmetics Instagram page! Not to mention, Brocca recently competed on Glam Masters, a Lifetime TV series hosted by Laverne Cox, where beauty influencers compete for the opportunity to collaborate on a limited edition makeup collection with Kim Kardashian West. I loved being able to interview Brocca about her experience on the show, as well as her rising fame in the beauty industry. Oh, and just wait until you see pictures of her favorite look she’s ever done! Hint: the makeup is extraordinary. Carrie: Hi, Vic! I watched you on Glam Masters and was so impressed with your work. Each makeup look you created was unique and special. Vic: Thank you! I took a peek at your work as well and it’s amazing how much motivation you have at such a young age. Let’s do this! 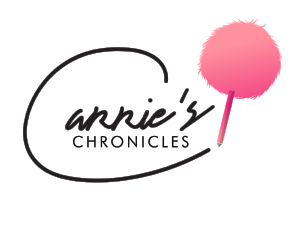 Carrie: Thank you! Okay, let’s get to it. First of all, how did you get into doing makeup? How old were you? Vic: I got into makeup when I saw a YouTube video of [makeup artist] Pixiwoo on YouTube! I was mesmerized and became instantly addicted to makeup tutorials at the age of 13. For each birthday, I would ask my family for makeup from Sephora, but it wasn't until I was 14 that I finally got my first Urban Decay palette and started creating looks. I initially strayed from the idea of becoming a makeup artist because I didn't believe it would bring me financial independence. Little did I know that at the age of 19, I completely changed my career path and decided to drop out of my university to pursue being a makeup artist and YouTuber! Carrie: Wow, what an amazing choice, considering how far you’ve come these past two years! Besides Pixiwoo, what other beauty influencers inspire you? Vic: Amrezy, Desi Perkins, Jaclyn Hill and Carli Bybel. They all represent something unique and I can relate to each of them in different ways. Their makeup styles are also not too similar, yet they are all incredible artists. Carrie: Agreed. They are also super smart about how they market their brand on social media. Is social media an important part of your career as well? Vic: Social media is the biggest and most important element in my career. Without social media, I’m not sure I would have been able to grow my brand as fast as I did. The internet is what made me a viral sensation at the age of 20! 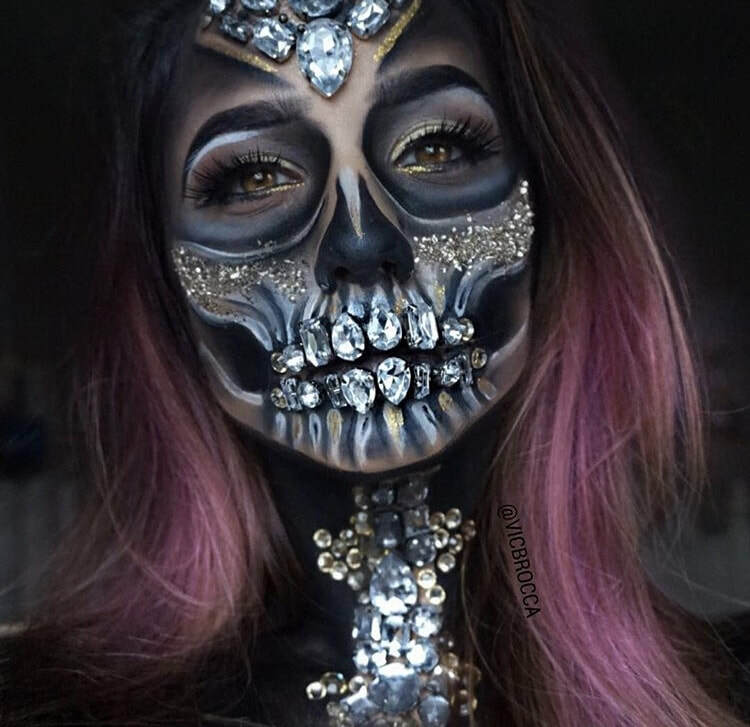 My diamond skull makeup look went viral on Facebook reaching 15 million views in 3 days. My life changed forever, all thanks to social media. Carrie: The power of the internet is certainly no joke! I remember watching your diamond skull makeup tutorial on Facebook and being in absolute awe. What about makeup is most exciting to you? Vic: It gives me the ability to always create something new. I’m a natural born artist and painter, so makeup is a form of art to me. My face is my blank canvas, and I’m able to express my ideas and play with colors. It’s really such an exciting process for me every day. I also love working with clients because once I do their makeup, their entire mood changes. Seeing the happiness and confidence I bring them is absolutely unreal to me! I love that feeling of accomplishment at the end of a client booking. Carrie: Totally. Now, I feel like I already know the answer to this question...what’s your favorite makeup look you’ve ever done? Vic: Definitely my diamond skull. It was so creative and I didn't even plan it. I sat down and let my hands do their job. In the end, I created an iconic piece of artistry that changed my life. Carrie: Your diamond skull makeup is truly a masterpiece. But it’s not the only incredible look I’ve seen you create! You did a bunch of incredible faces on Glam Masters. What was it like being on the show in front of such an incredible panel of judges, including Laverne Cox, Mario Dedivanovic, Kandee Johnson, and Zanna Roberts Rassi? Vic: OMG, being in front of those amazing judges was so intimidating. However, although it was intense, I felt like I was in my element. I knew I was born to be on this show and born to be critiqued by these beauty icons. It felt right. I feel like I learned so much from them, too. Carrie: I’m sure you did! What was your favorite part of the experience? Vic: My favorite part was definitely the people I met. I made such incredible friends from all around the world who support me and understand me. That is such a priceless gift that I never expected I would leave with: friendship. Carrie: How incredible! Now, on the other hand, what was the greatest challenge you faced on Glam Masters? Vic: Before I went on the show. I was extremely terrified and didn't believe I could do it. I actually dropped out of the show a few weeks before it started airing, but the producers called me and convinced me to come back on. They saw something in me and really wanted me there. I faced my fear and I am always going to remember that moment of courage. I realized that tackling what you’re afraid of can be scary, but in the end, it’s so worth it. Carrie: For sure. Before we wrap up this interview, I am dying to ask you what your fave spring makeup trend is! Vic: Definitely the intense yellow eyeshadow looks that have been all over Instagram. I love the way that yellow looks on any skin tone, especially girls with darker skin! Carrie: Ooh! I need to try that out. Where can readers find you on social media so they can keep up with everything you’re doing? Vic: You can find me on the ‘gram! My Instagram, @vicbrocca, is “popping,” as I like to say. You can also get to know me better through my YouTube channel, where you really see a different side of me. Carrie: Great! Thank you so much for taking the time to talk with me, Vic! Vic: Thanks so much, Carrie! It was a pleasure working with you on this. Coach Me On How To Look This Cool!